My photo didn't turn out for today, so decided to use one taken at the airport on Wednesday. Did everyone hide when they saw your camera? Has the Eyjafjallajökul volcano moved down under? I really like the the pic but I have never seen totally empty airport. Did you sneak under a rope and get into a restricted area? Nice picture without the crowd! This is the first time that there were hardly any people at Brisbane International Airport while I've been there, it's always been packed. When we arrived, we had no trouble getting a table to have coffee, usually we have to stand & wait for people to move on. There was only about about 40 people there - very strange, even the shopkeepers said it was a very slow day. Allison, the reason it looks so open is that there are wires that you can't see that separate us from jumping or climbing down to that restricted area - it's really good as you can still talk to people once they are through customs. nice perspective! i love photos of airports....they remind me of many wonderful experiences in life! 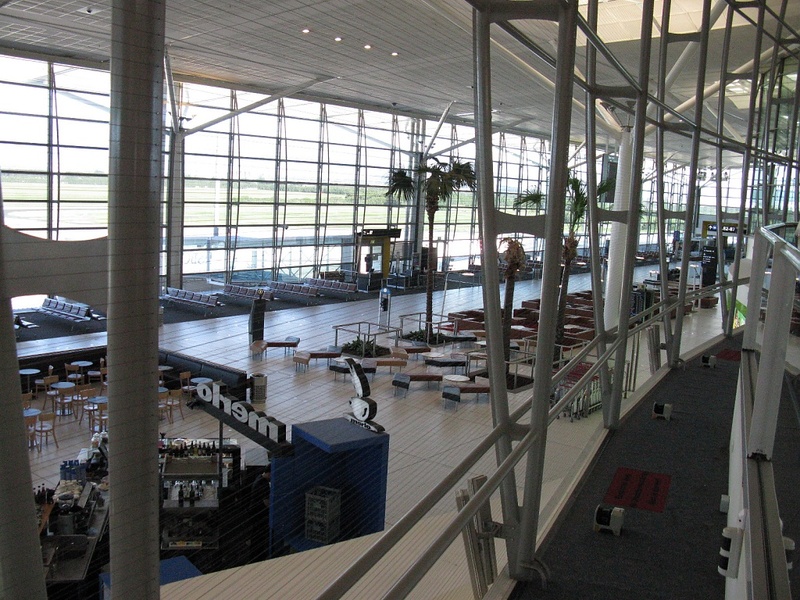 I like this one too... and I hope one day I will be able to visit Brisbane ...and this airport! Seeing off your brother! Thank you for your wonderful comments..... things are always better when they're shared!